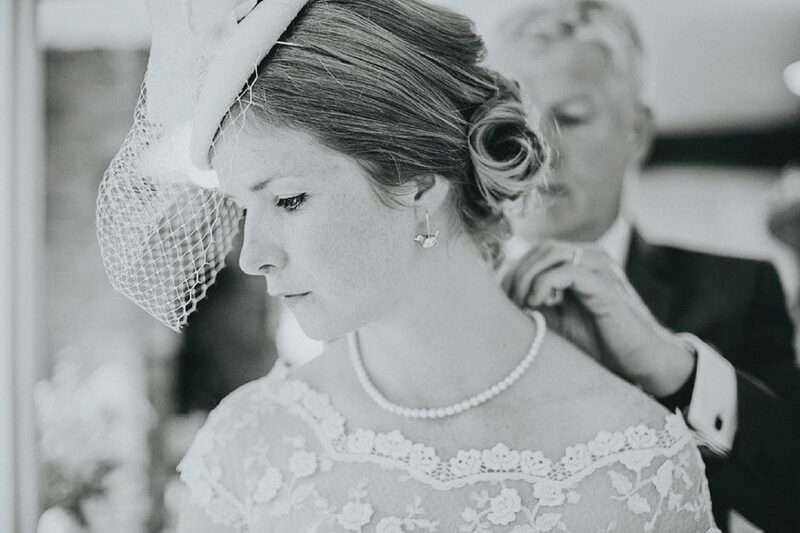 How very, very stylish is Nicky in her 50s style Candy Anthony dress and her gorgeous vintage inspired birdcage veil? Back in December last year, I met Nicky and Jon for their pre-wedding shoot in Winchester – as soon as I met them, I knew that their wedding was going to be a lot of fun. And I wasn’t wrong – to share the day with this fantastic couple, and their lovely families and friends, was a complete joy. Nicky looked completely stunning in her gorgeous 50s style lace Candy Anthony dress and her stunning birdcage veil, and Jon looked every bit the dashing groom. Highcliffe is a fantastic venue, and close enough to the beach that we were able to wander down there while the guests were seated for dinner. Nicky and Jon wanted their guests to enjoy the location, but not to feel at all formal, and Highcliffe Castle suited them perfectly, it's grand enough to wow but still cosy enough for a really fun, informal wedding party.